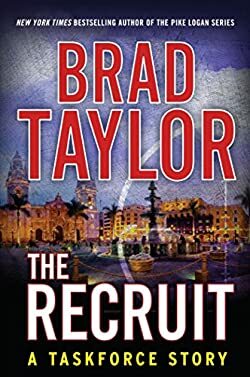 Retired Delta Force officer Brad Taylor’s exciting new short story features Taskforce operators Knuckles and Decoy, as the two stumble upon an audacious plot when they least expect it. When Taskforce operator Knuckles brings his old friend Decoy, a former teammate from the Navy SEALs, to Lima, Peru, he wonders if he’s made a mistake. Knuckles’ only objective is to assess Decoy’s covert surveillance skills on an orientation deployment, the final step before any recruit is accepted into the extralegal counterterrorist organization known as the Taskforce. Just when Decoy’s wild side threatens to expose their cover as technicians working for the embassy—and derail his chances of becoming a full member of the Taskforce—the two uncover an unexpected piece of intelligence involving the terrorist group, the Shining Path, that causes their mission to go from evaluation to operational. With no backup and a flimsy cover story, Knuckles and Decoy find themselves in murky territory, relying on the help of an untried asset to prevent a devastating attack on countless innocents.